French naturalist Dr Aronnax embarks on an expedition to hunt down a sea monster, only to discover instead the Nautilus, a self-contained world built by its enigmatic captain. Together Nemo and Aronnax explore the underwater marvels, undergo a transcendent experience amongst the ruins of Atlantis, and plant a black flag at the South Pole. But Nemo's mission is one of revenge - and his methods coldly efficient. Verne's classic work has left a profound mark on the twentieth century. Its themes are universal, is style humorous and grandiose, its construction masterly. 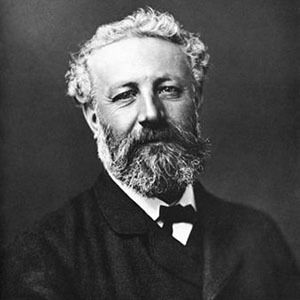 Jules Verne was born in France in 1828 and died in 1905. His collaboration with the publisher Pierre-Jules Hetzel was wildly successful, producing many brilliant novels in the burgeoning genre of science fiction: 20,000 Leagues Under the Sea, Journey to the Centre of the Earth and Around the World in 80 Days, among others. Verne is the second most translated author in the world, after Agatha Christie and before Shakespeare. The first thing that struck me was that the dialogue was absurdly florid. I'm sure well off people in the mid 19th century did speak with a certain extravagance of verbiage but did they really all sound as pompous as Mr. Arronax does in this book? Ye gods, within a brace of pages I would have liked nothing better than to strangle him! I'm not sure whether it was this translation but the constant switching between units of measure began to piss me off. I'm pretty sure the original French version would have stuck to metres and kilometres. This version sometimes worked in metric and then in the next sentence switched to feet and miles. It jarred somewhat. The science was really screwy in places, although we have to allow for it being written in the 1850s or thereabouts. I don't think that the diving suits would have worked as advertised but we have to forgive...no one properly diagnosed the bends (or decompression sickness) until Brooklyn Bridge was built in New York in 1878. Also, I'm not sure whether the author goofed or whether - at that time - seals and sea lions were classified as cetaceans but they certainly are not in that group now! On the whole though, this book really does contain amazingly prescient science fiction for that time. I think the descriptions of underwater volcanoes was pretty far ahead of its time. We only recently found 'smokers' on the sea floor with modern subs and ROVs. My biggest disappointment though was that I found the story rather tedious. Nothing much happened really. Sure, they helped a pearl diver and fought off some squid but the only episode of what could be classed as 'slightly more than mild peril' was when they were caught under the ice. Vast tracts of pages were given over to lists of undersea creatures and their classification in the tree of life. Yawn! Again though, perhaps in the time this book was written, the fact of these creatures being in existence would - to many - have been extraordinary and thrilling! Without a TV or the internet, a novel describing them would have been about as good as the average Joe could expect. The characters are very 2-dimensional. It's absurd that the 'heroes' never get to meet / chat to any other crew, especially as Mr Arronax has someone waiting on him in his cabin FFS!!! Conseil irritated me with his lack of personal ambition or opinion. I warmed to Ned Land but he spent much of the time shut in his cabin. Grrr! We never really get a proper insight into Captain Nemo's personal hell. There are so many practical things that are simply ignored. They must have been fitted for their new clothes made of undersea stuff. The clothes would have needed washing. There would have been baths or showers? OK, they probably didn't want toilet details in the 19th century but some small details like this would have helped to build the world somewhat more believably. All the fish that were caught and presumably hauled inside the sub to gut and prepare must have made the whole place reek very badly and conditions would have been really, really damp. Salt water is very insidious. The language and behaviour of Mr Arronax with respect to the creatures they find is contradictory. He's fascinated by them but is delighted to have the opportunity to hunt them, even ones that he himself confirms are close to extinction! This is possibly a thing of its time. The escape from the sub was dreadfully fudged, the fugitives conveniently passing out and waking up on terra firma being fed and clothed by some friendly people! Some good but some bad...well actually none bad, except the dialogue, just a lot that was boring. In its day, it must have been extraordinary, a 5-star blend of the BBC's Blue Planet series and Star Trek. It has aged badly in my opinion and so, mostly because of the tedium, I can only give this 3-stars. I am pleased to have re-read it though. I quite enjoyed this book - probably because I haven't seen a film version - but it suffers, I think, from three flaws. First, Nemo, the antagonist, is only weakly drawn; we don't get to know him well enough. Second, the ending is rushed. And third, plot development is rather simplistic. Who might enjoy this? A teenager with a keen interest in marine science. Sometimes illustrated Kindle versions don't translate to the format well, but this edition is very good in every way. Clear and easy to read, and enjoyable to look at (even in black and white). From the point of view of the story, I found it a drier read than, say, Connecticut Yankee in King Arthur's Court. Characters were more caricatures than well-drawn, but Twain still managed to point out the dichotomy of rich and poor in a way that makes me glad I live in the modern era. I've been reading Tale of Two Cities at the same time, and am afraid that Twain can't hold a candle to Dickens in terms of characters and social commentary (at least, not in Prince and the Pauper), but that doesn't mean I would leave him off my list of authors who (whom?) should be read. I bought this book being an admirer of the things I've heard of Vernes work but never actually reading it. 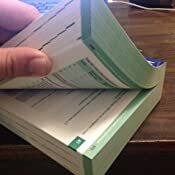 I decided that enough was enough and I had to read a classic. I wasn't disappointed. He is clearly a fantastic writer. 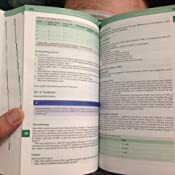 If you want a book that doesn't dwell on the details this isn't for you. He can elongate any story which now days would take only a few paragraphs to explain but somehow that doesn't matter because the way clarity in which he describes just makes it worth it. A book I will read again, and again. 4.0 out of 5 starsWhat an imagination.! I've seen countless versions of this on film and television over the years., but it's the first time I've sat down and read the original book.!! What a read.!! With an imagination and creativity way ahead of his time, it's a riveting story with an eclectic mix of characters and personalities which often led me to wonder the outcome of the next page, yet alone the final chaper. Only one critisim, and I'll probably get shot for this, Mr Verne paid too much detail,at times, to listing and describing flora and fauna, page after page often distracting me from the unravelling adventure. All in all fantastic, but still preferred The Mysterious Island ! Because I do a great deal of outdoor work that involves walking, I decided to download this with the book. I'm pleased I did because this certainly added to the atmospheric feel of the science fiction masterpiece. The Last Days of Thunder Child: Victorian Britain in Chaos! 4.0 out of 5 starsGreat stuff! I love early science fiction and have read so much H.G. Wells that I thought I should give this a try. The story itself is actually pretty good. I really felt that the settings felt a little futuristic even all this time later, although possibly a little steam-punkish because the primary power of the day was of course iron and steam! 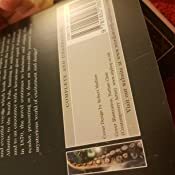 Verne wanders into too much description of the classifications of fish and the characters do seem to catch and eat every living thing they come across. Those parts were a little dull, but the main story is really quite gripping with some fantastic 'how will they get out alive?' moments! 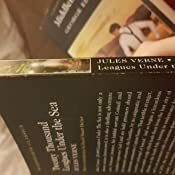 I haven't quite finished the book because I am a lazy reader, but for this price the entertainment value is unbeatable. Despite being written in the late 19th century and therefore more than a little dated, this is an early triumph of science fiction. Starting out with a the technical enigma of what the monster might be, it then turns into a wonderful tour of the submarine world as the inhabitants of the late 19th century would have imagined it to be. Finally we start to see something of the person the Nautilus' captain might be. 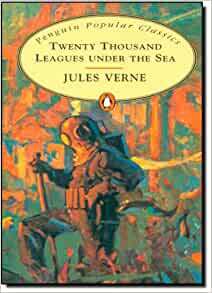 Yet Jules Verne is careful not give away all the secrets of the Nautilus and its captain.